Oregano, Cauliflower, Calabrese and Cabbage. Sow mid to late spring, either direct into soil or in pots to plant out later if clubroot disease is a problem in your soil. Firm down well when planting out. 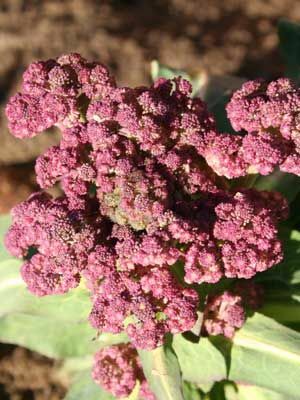 For green summer broccoli, see 'Calabrese'. Harvest the next winter/spring by cutting off the large central head first before it starts to flower. Smaller side shoots should then be produced for harvesting a few weeks later.